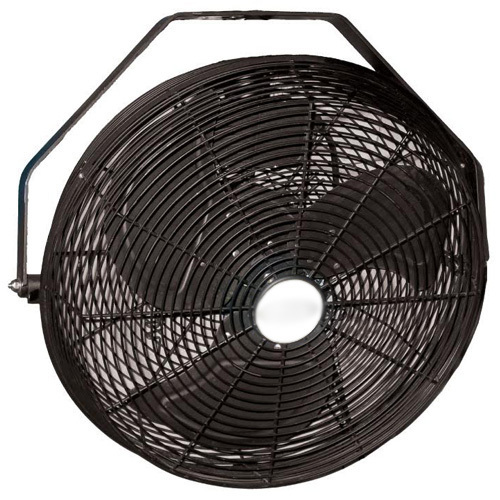 The 18" basket fan is designed especially for agricultural use. 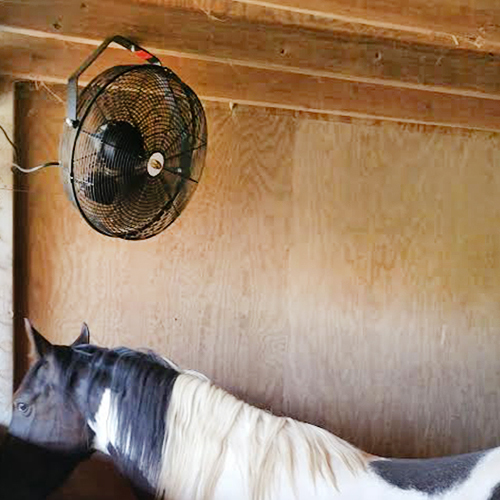 Unlike most fans (which are NOT meant for use in barns), this fan has a totally enclosed motor with sealed ball bearings. 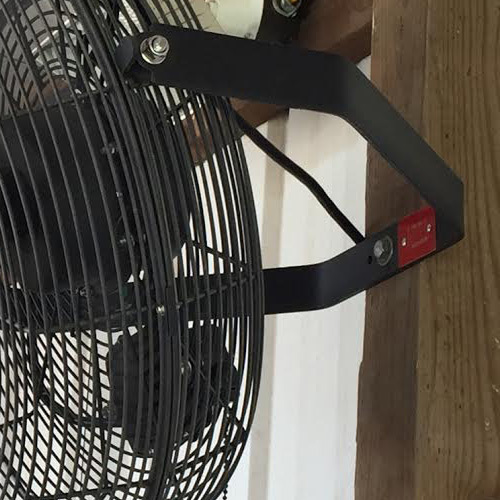 This allows the fan(s) to be used in wet locations! 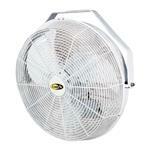 Our 18" basket fan is designed especially for agricultural use. 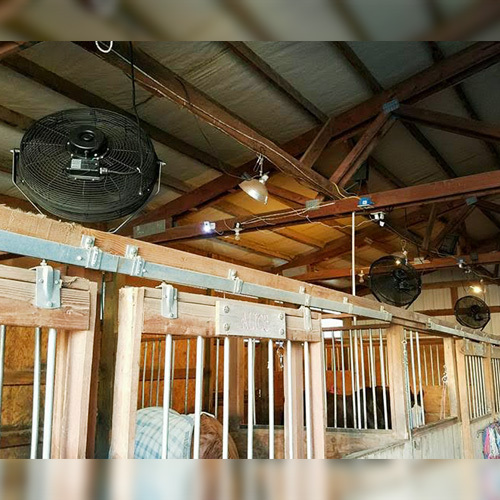 Unlike most fans which are NOT meant for use in barns, this fan has a totally enclosed motor with sealed ball bearings meaning it can be used in wet locations! 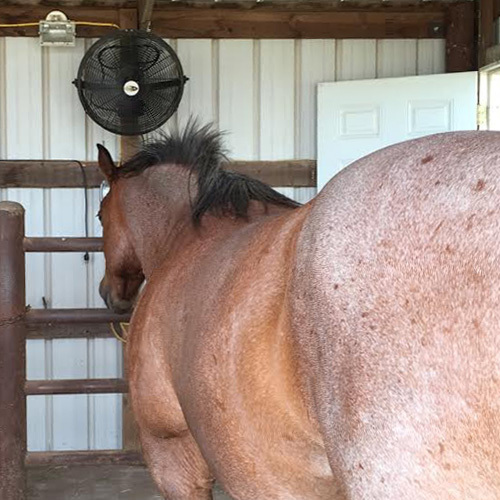 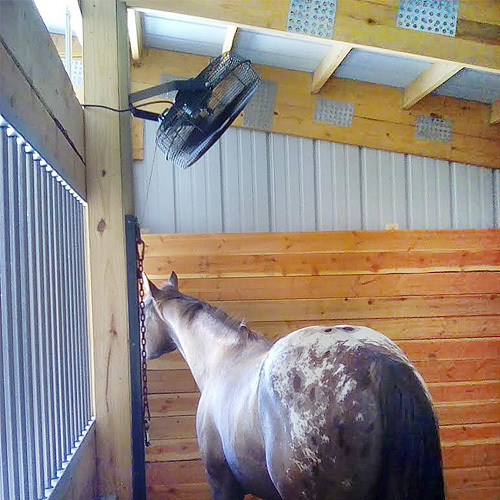 These fans can even be sprayed down to remove dust and dirt, making them an excellent choice for wash bays and stables. 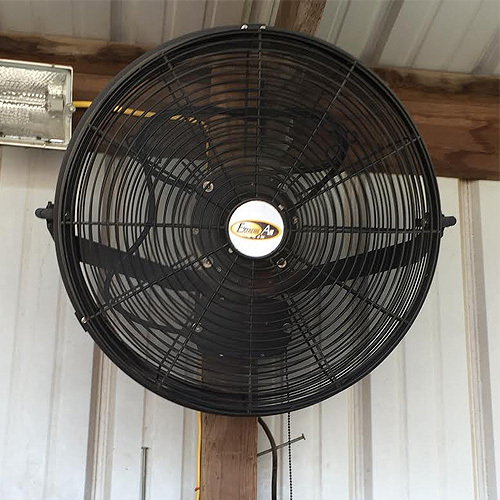 UL507 Certified for indoor/outdoor use. 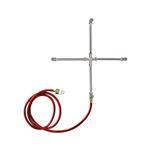 Designed for agricultural applications. 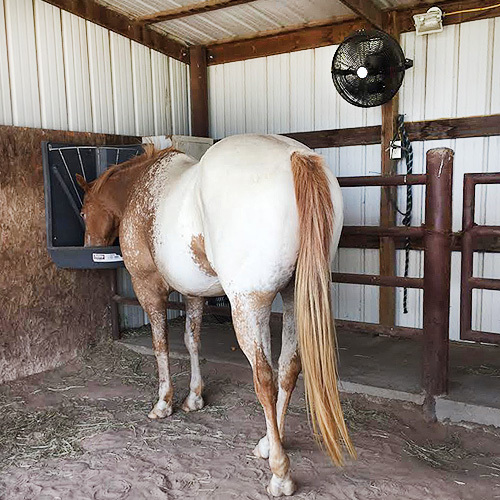 Waterproof - can be sprayed down to remove dust and dirt build-up. 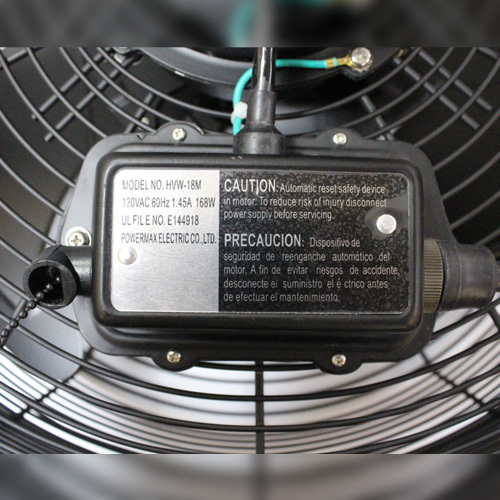 Totally enclosed, maintenance-free, direct drive high-efficiency motors, have completely sealed ball bearings, UL and CUL recognized, and are covered by a One Year Warranty. 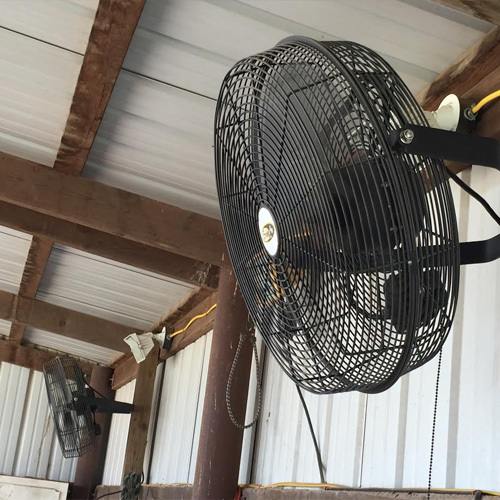 It is important to note that many fans sold in farm and home improvement stores are dangerous to use in barns. 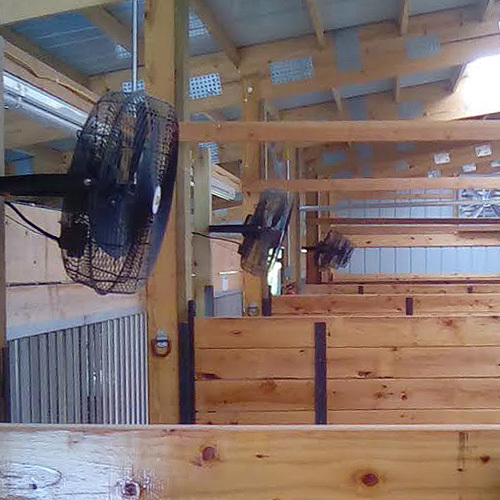 These include all box fans and most floor type basket fans. 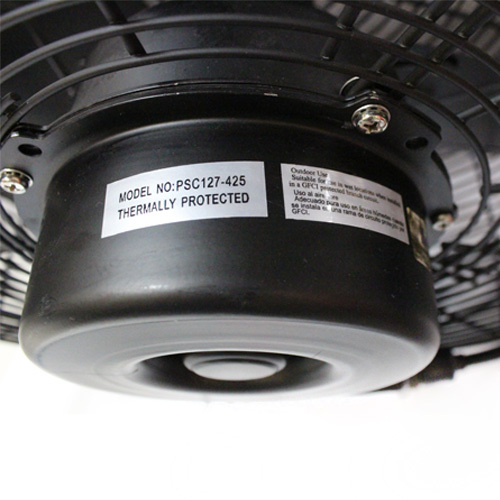 Unless the fans have completely sealed motors, they will NOT be rated for agricultural use. 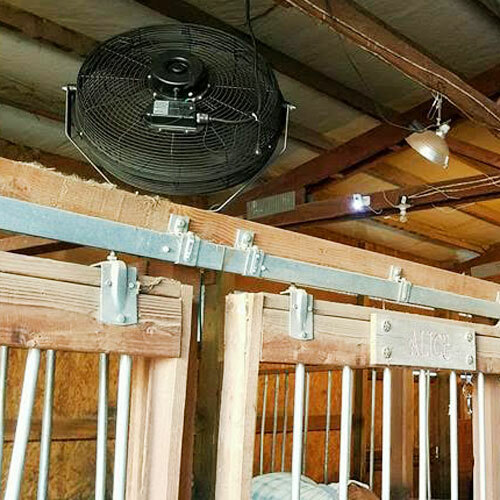 Be sure to check the instruction manual before purchasing - as many will state on the front page "for residential use only". 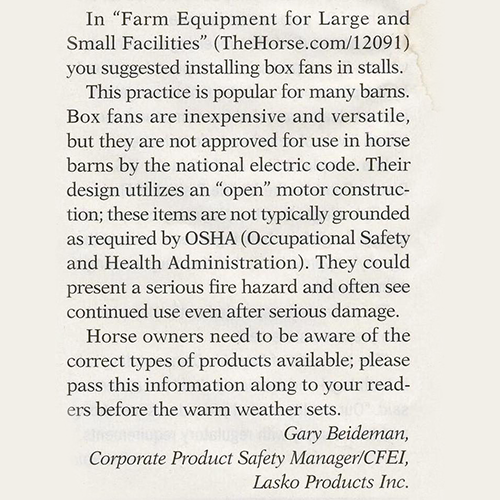 This is true for ceiling fans as well (ours are also agriculturally rated).